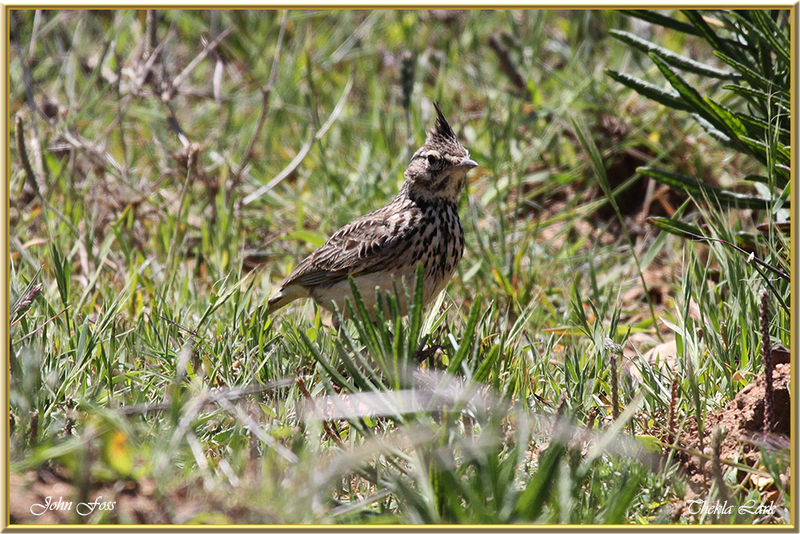 Thekla Lark - a native bird to Portugal. 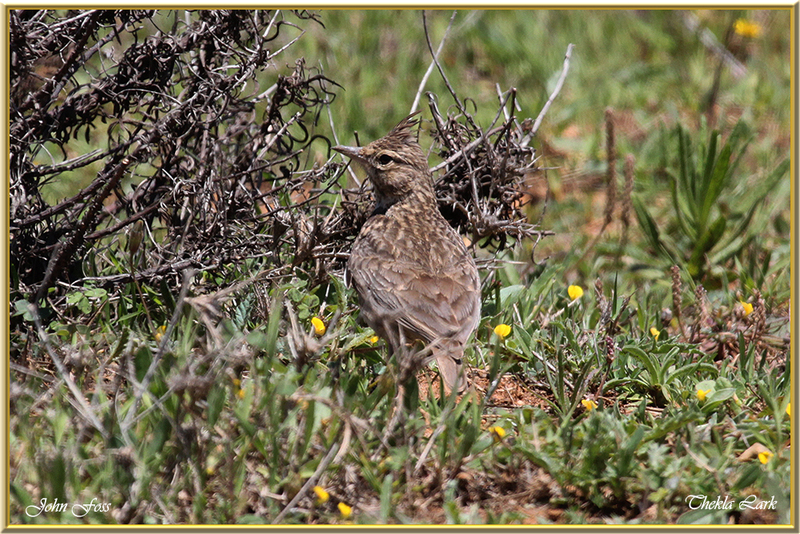 Its typical habitat is rugged areas with scrub, bare patches of ground and semi-arid grassland. 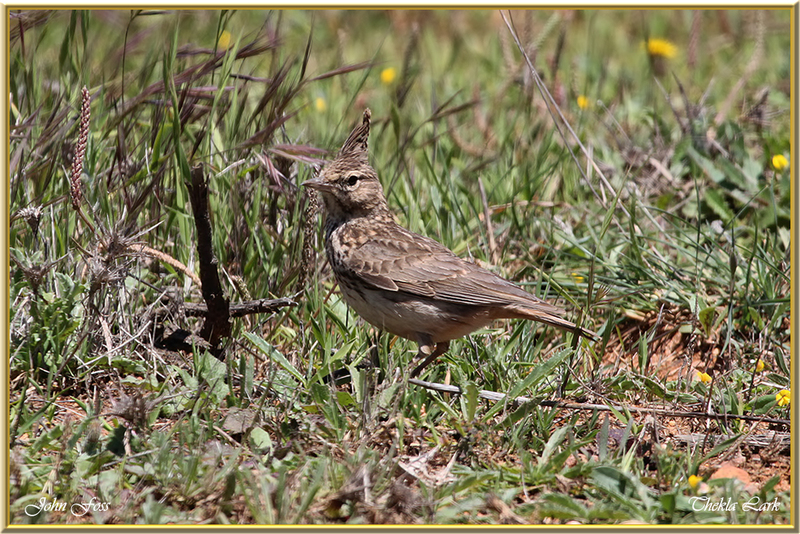 It differs from the Crested Lark by a shorter bill and lacks the curve/hook at the tip of the upper mandible. 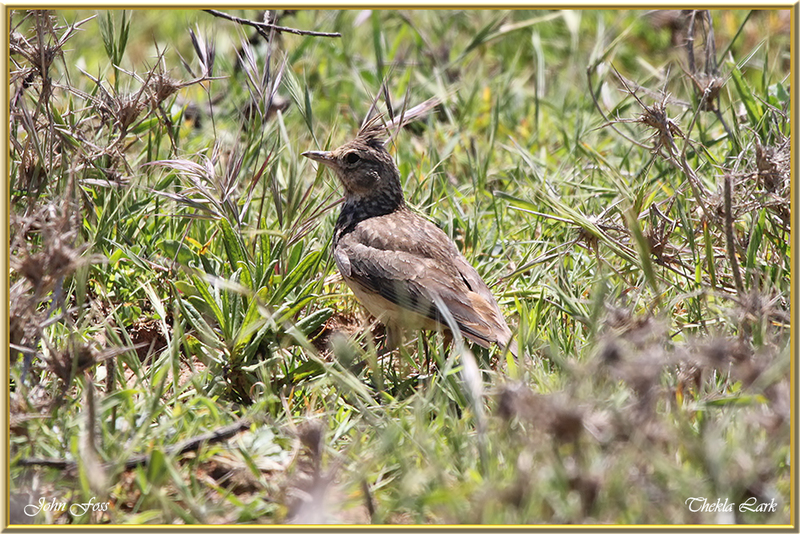 A ground nesting bird laying up to six eggs. 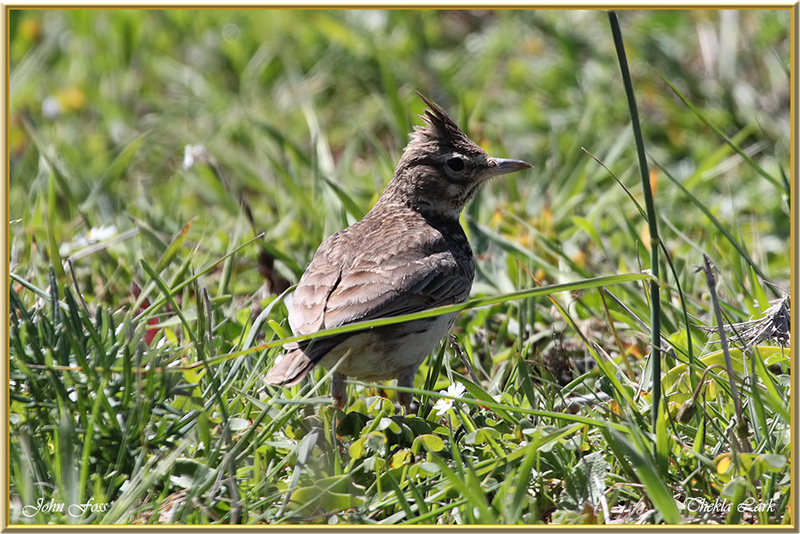 It feeds on seed and insects. 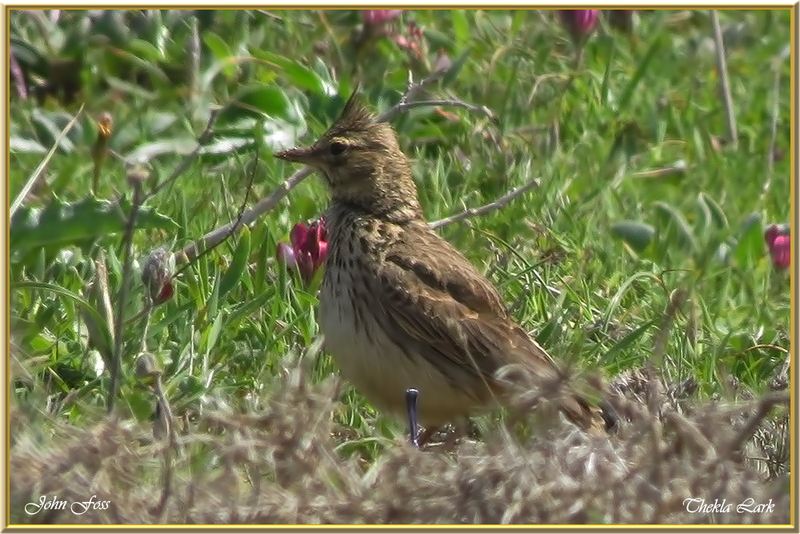 More localised than Crested Lark. 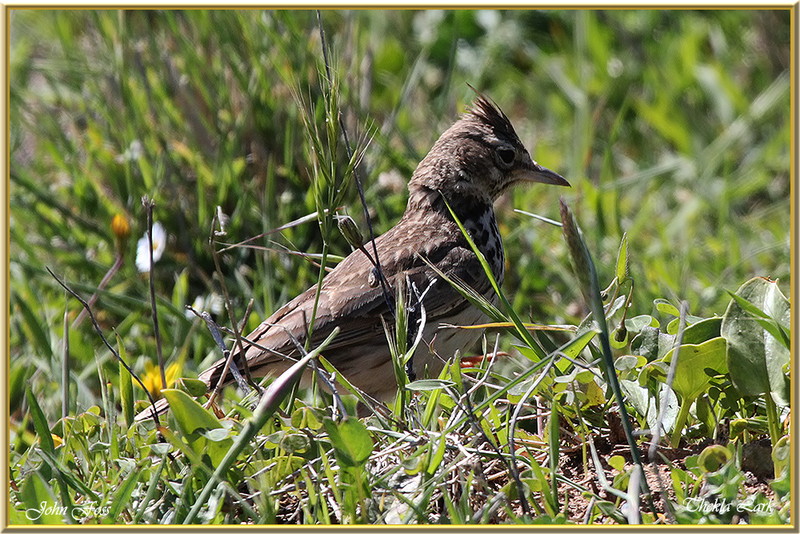 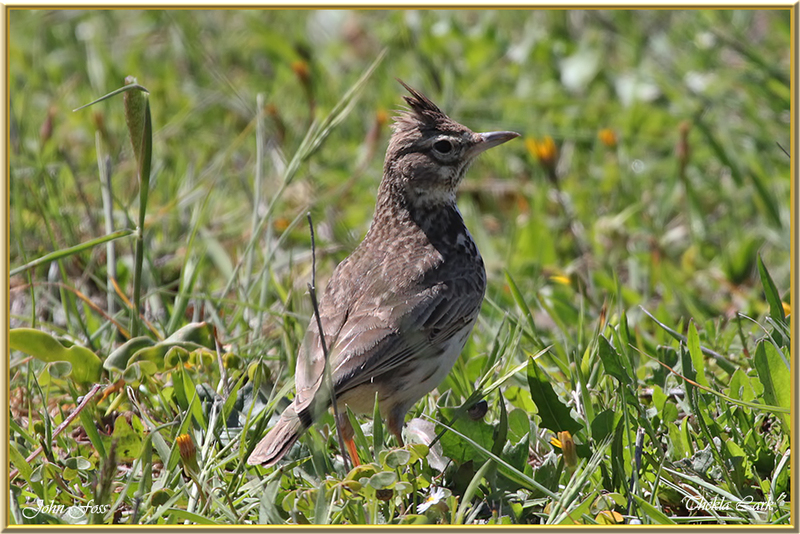 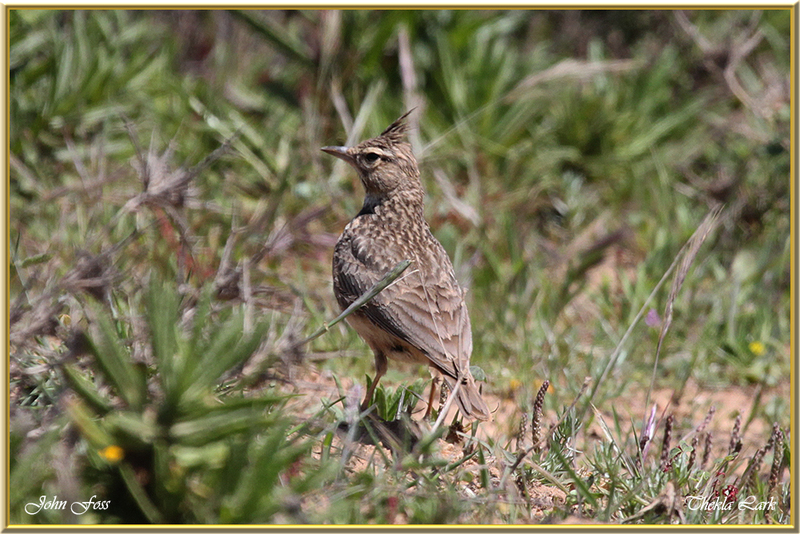 Photographs are from Sagres in Portugal where the Crested Lark is scarce.